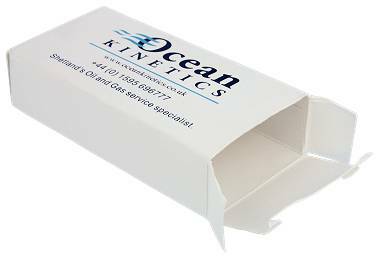 A basic white cardboard sleeve box provides a low cost packaging option to ensure your USB stick reaches your client in good condition. Your USB stick will be contained in a celophane sleeve within the box. This a small box for the USB stick so if you want a lanyard then you will need a larger package.